Thank you, Yale University. Thank you, Harvard. Thank you, Universities of Pennsylvania, Vermont, and Virginia. Thank you to all the colleges and universities who have publicly offered reassurance to our stressed high school seniors this month. 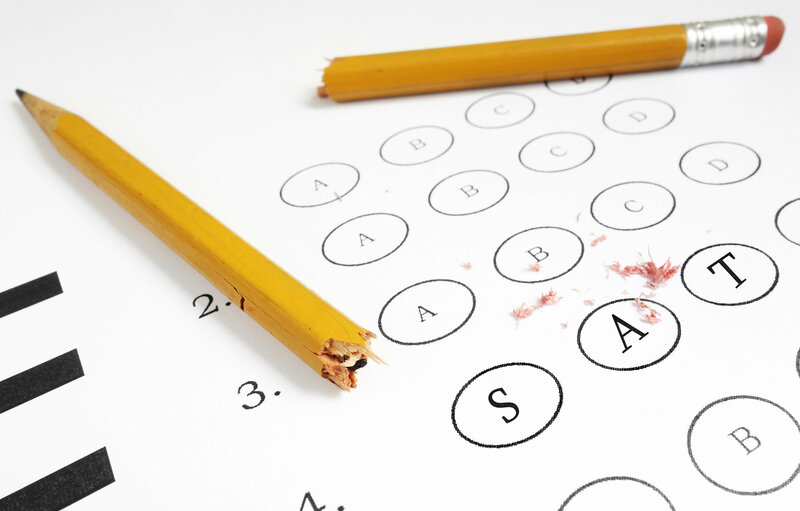 Understanding the delayed ACT and SAT scores aren't our kids' fault, these institutions have announced they will accept test scores after their Early Action and Early Decision deadlines. But not all colleges and universities have been this kind. Some are sending generic emails to our students letting them know, basically, "tough luck" about the ACT and College Board (who administers the SAT and Subject Tests) being overwhelmed with the record number of tests they need to score and send. These institutions are sticking to their deadlines. It's hurting our kids. And, it's wrong. Let's be clear about what's really going on here. The reason the ACT and the College Board have had a record number of students taking the fall tests has everything to do with the SAT changes being unveiled in March 2016. Juniors are so worried about the uncertainty of a new test that they are trying to finish taking it before it changes. The result is a domino effect that has left our high school seniors in the crosshairs of a policy change that was not supposed to impact them at all. Isn't it bad enough our high school juniors are feeling so much pressure about the new SAT? Now, we have a slew of high school seniors feeling unnecessarily burdened. When a senior takes or re-takes the ACTs or SATs in the fall, it typically ends up being their highest score. But, this year, it may not even be considered if the student applies Early Action or Early Decision. I know the critics will argue that if deadlines aren't enforced, then they can't deliver admissions decisions in a timely manner. I get it. I used to be a dean of admissions. I wanted decision letters released at the promised time. But, as much as we want to stick to a plan, life happens. Tragedy can strike. And, lives are affected--young lives to be exact. It's one thing if the student doesn't apply by the deadline. But when they have dotted all their i's and crossed all their t's and it's the testing entities that have failed, it's quite reasonable to expect a modicum of flexibility. In fact, we must demand it. When Hurricane Katrina ravaged New Orleans and the South, I was working in the Undergraduate Admissions Office at the University of Pennsylvania. Our decision was easy. We allowed students from the affected areas to submit their applications after the Early Decision deadline. We did the same thing after the 9/11 terrorist attacks. Did it mean that admissions officers were reading applications during Thanksgiving and even into December? Yes. Did it mean that we had extra admissions committees on the weekends to keep things on schedule? Yes. But it was the smallest sacrifice compared to the devastation that families and communities experienced during those trying times. While the delayed scores are in no way comparable to these two events, this situation is an historic, unexpected, and potentially life-changing storm for the students affected. Imagine if the roles were reversed--if a college did not meet its deadline due to circumstances beyond its control and students held the institution accountable in some way. Would students choose a "burn it down" philosophy because the institution was unable to fulfill its promise? Unlikely. In this case, the colleges hold all of the cards. There is simply no recourse for the applying student other than to hope for a merciful judgment on the part of these institutions. Granted, test scores are objective. Deadlines are clear-cut. But the college process begs for the human touch. Students are the most precious commodity to educational institutions. Without them, scores and deadlines are just numbers on a page. There is a reason colleges and universities admit students, and not test scores. I urge them to use their hearts and minds and be flexible during this unprecedented time. The stakes are too high to do less. Colleges and universities need to respond to this and reassure, assuage, and make right the process for all of our hopeful students. They need to rescue a victory for all involved from the jaws of uncertainty and defeat. In doing so, they will validate the integrity of this process, and allow these great students their best opportunity for success.